Twice to 3 times the size! Yes my friend you read this well. Of course this experience is far from being scientific but here we can really see a massive difference between the plants grown in a classic soil and the plants grown in aquaponics. I planted kale, broccoli and chilli seedlings at the same time both in my aquaponics and in a classic soil. A month later we can see the growth difference. As explained previously, the difference is massive. 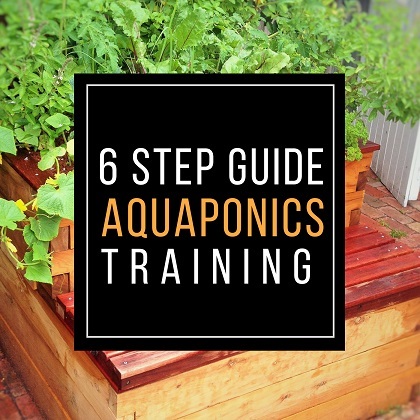 The plants grown in aquaponics are 2 to 3 times larger than the ones grown in the soil. Also they look very healthy and the broccoli is already producing. Now I have to be honest. The plants grown in the soil are probably not in the best conditions as their growth seems very limited. They are placed not far to a fence so the sun exposition is probably not the same. It’s therefore not a scientific A/B test where we can purely appreciate the impact of aquaponics/soil production. Another point to note is the population of pest I had on my garden. For some reasons the plants in the garden suffered more from pest attacks than the plants in the aquaponics system. The density of plants in aquaponics is very high. This high density goes with a very wide diversity and therefore all predators are present. As soon as an insect appears, a predator is around and manage the population. In the classic garden the plants density is relatively low and the pests present (aphids) were able to grow and develop a large population before being attacked by the predators (probably coming from the nearby aquaponics systems). In the video we can see how the syrphid fly (a fly that looks like a little hornet) larvae are taking care of the aphids invasion and manage the whole population. Let me tell you how excited I get when I observe the insects evolving around my plants. I see each one of them as a member of the ecosystem. A soldier working hardly to protect the “Eden garden”. Watching them is fascinating. They all got different shapes and behaviours… When you take time to admire nature at a small scale, you find a whole new world. The more you learn about this ecosystem and the better you can manage it. I really recommend you to spend some time around your aquaponics system, admiring nature’s beauties.